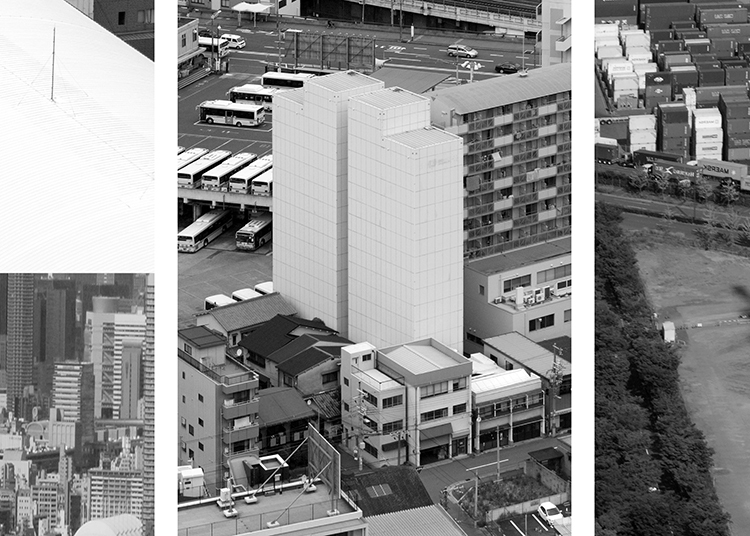 Through large-scale re-assemblages of his ongoing photographic documentation of urban environments and architectural structures, Seung Woo Back investigates the precarious nature of the medium of photography offering an opportunity to gain a fresh perspective regarding our relationship to our built environment. As the exhibition’s curator Jeong Eun Kim suggests, the work in this exhibition urges a consideration of the affects of the standardization of built environments and the relationship between monotony, alienation and contemporary nomadism. In this, Back’s first solo exhibition in Canada, Centre A seeks not only to initiate an inquiry into how to build a dialogue between contemporary photo practices in Asia and Vancouver, but also to give perspective on the transformation of our own urban environment, and to question its effects. Walking on the Line will be accompanied by two new publications. Born in Daejon, South Korea, Seung Woo Back is currently living and working in Seoul. He holds a B.F.A. and M.F.A. in Photography from ChungAng University and, in 2005, received an additional M.F.A. in Fine Art and Theory at Middlesex University in London. Back has been featured internationally in both solo and group exhibitions in galleries across Asia, Europe, and North America. His work not only examines photography as a medium, but also as a means for which to manipulate and alter the putative truth of the archival. In the Summer of 2014 he participated in an artist in residency arranged by Vancouver Biennale. Jeong Eun Kim is an independent curator based in Seoul, South Korea. Founder and chief editor for the acclaimed bi-annual contemporary art photography magazine, IANN, she has worked extensively in the field of photography including as chief coordinator for the Daegu Photo Biennale 2012, and curator of the Seoul Photo Festival 2010. Currently she teaches at Kaywon University of Art and Design while pursuing her PhD at Middlesex University in London. On Saturday, November 28th, South Korean Artist Seung Woo Back will discuss the works featured in Walking on the Line. Back’s work investigates photography as a medium of “truth”; a characteristic that is continually challenged by his manipulation of the medium itself. While some qualities of Back’s work could be seen as reminiscent of the New Topographics, the notions of documentation and the archive are formally confronted anew with the rapidly transforming and globalized urban landscape. Triggered by the continuous waves of globalization and the sense of alienation in urban cities, Back recreates convincing faux-realities that originate from his photographic documentations and archives. These constructed images distantiate themselves from the photographic truth, interestingly conversing with Vancouver’s own tradition of photographically constructed and composed realities. Back will discuss his previous works in relationship to his new solo exhibition at Centre A. Any additional public programming will be announced at a later date. Centre A gratefully acknowledges the generous support of the Culture and Arts Promotion Fund of the Arts Council of Korea (ARKO) in making this exhibition possible. Walking on the Line is produced by IANN. Special thanks to Ken Lum and Surrey Art Gallery. © 2015 Centre A. All Rights Reserved.